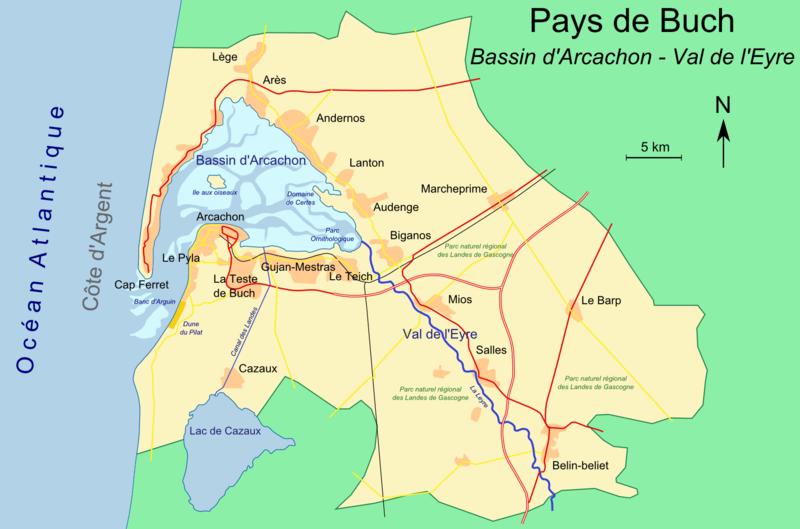 We stayed one week in the bay of Arcachon (near Bordeaux). This VERY crowdy area has as advantage that, because you are protected by the bay, the well-known atlantic wind is almost non-existing. Therefore it has a very nice climate. If you like strolling around in small villages and like everything the sea has to offer, this area is your thing. Almost everywhere you found the famous oyster-houses and fresh “fruits-de-mère” and fish can be bought on nearly every corner. Prepare yourself for very crowded places. In fact try avoiding driving around in the car after 10am. The whole area is one big traffic jam. Renting bikes or leaving early could help prevent frustration. This as a huge sand dune that really gives you the feeling of being in some desert. It gives a view of the atlantic ocean on one side and the nice forest of Buch-country on the other. The other week we stayed around La Rochelle and the nearby islands (Île de Rée, Île d’Oléron, Île d’Aix). 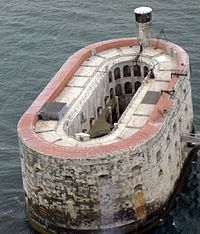 Also Fort Boyard(famous from its TV shows) is always nearby. or the Aquarium in La Rochelle.